Seriously so many things are happening in Nigeria. The madman doesn't want to be left out from recent happenings. But the question is, does he understand what he reads?. 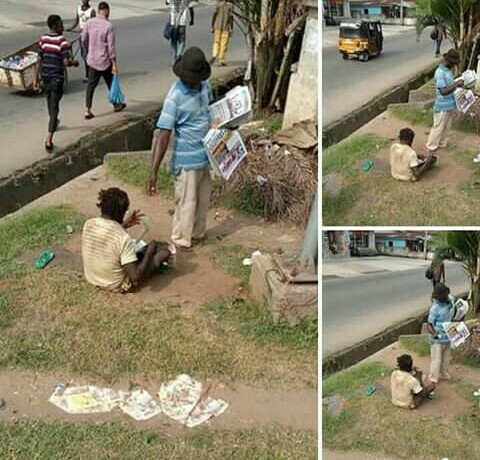 This madman is always buying PUNCH newspaper for himself everyday to update himself about the current issues of the nation. Punch newspaper is sold for 200 a copy. 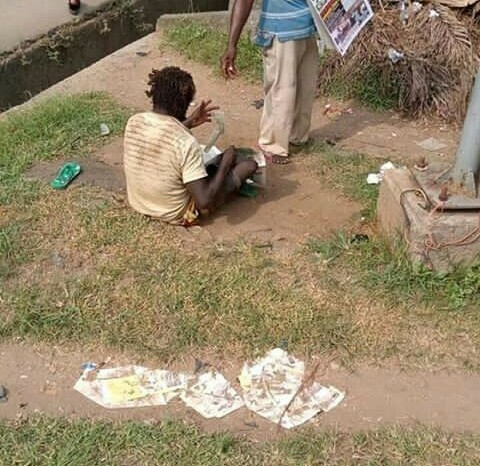 I believe he has been putting aside 200 everyday just to buy a newspaper.